This week's post is three really speedy, really simple snack ideas to keep hunger at bay. It's no secret that I have a major sweet tooth, so two of the three are splendidly saccharine ;) If a Buddy the Elf style diet is something you too could conform to, then I have got you covered! Fortunately, these three recipes are actually healthy to boot. The first is a homemade Nutella (yes, you read that correctly! 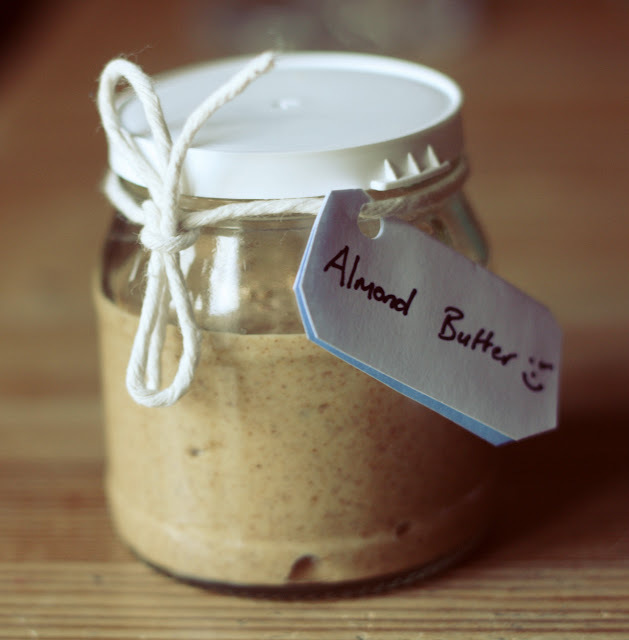 ), a deliciously creamy banana ice-cream and homemade almond butter that will save you a fortune. Switch on your inner Nigella and keep reading for the details! I dread to think how many jars of Nutella I have polished off in my twenty years...it simply is a staple in my life. 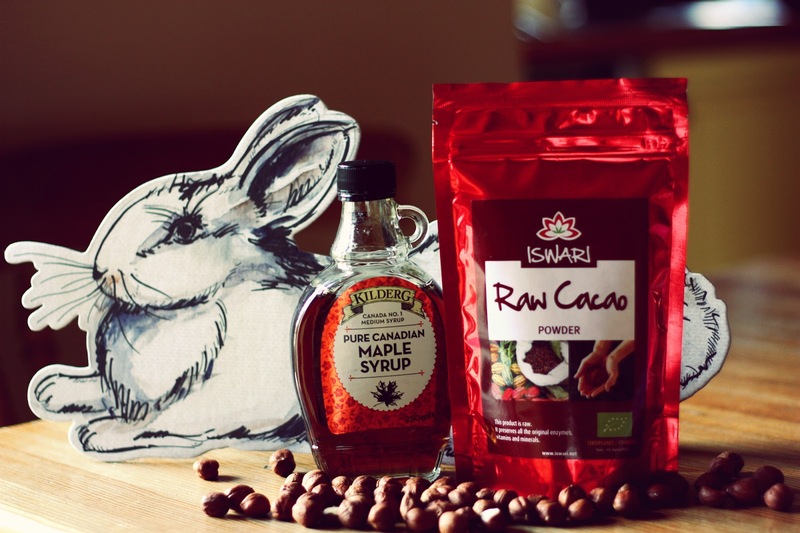 When I came across a recipe for homemade Nutella by food blogger and author, Ella Woodward, I was instantly intrigued and wary in equal measure. Intrigued because I was in awe at the thought of having the power to make it myself (I thought such an ambrosial product could only be crafted by seven angels, precisely three squirrels and formed only at the full moon :P) Wary, because I was expecting to be underwhelmed, unable to reach the level of perfection of the afore mentioned Nutella Gods. I was staggeringly impressed when I decided to give it a go. Dare I say it, it's even nicer than the shop bought one! The recipe is taken from the book (my bible!) Deliciously Ella. I have been reading her blog for years and purchased her book about a year ago, raving to friends and family about it. All the recipes are super tasty and don't really require any wacky ingredients that you use once and then it's at the back of your cupboard forevermore! 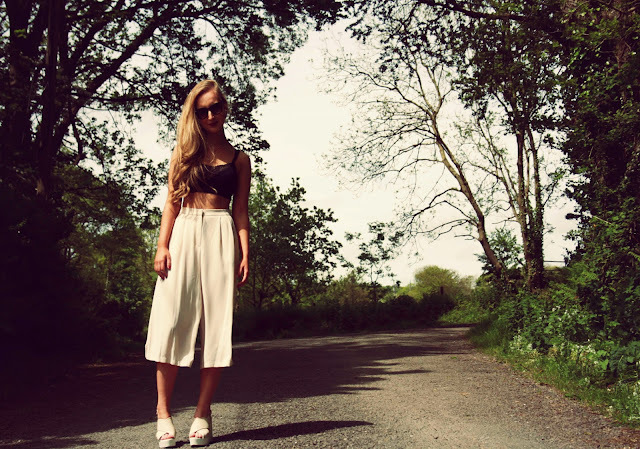 Plus, she's an absolute babe and never ever comes across as preachy or condescending to her readers. Below are the three ingredients for her Nutella recipe. Preheat your oven to about 200 degrees (180 for fan). Bake the nuts for about ten minutes, this not only enhances the flavour but also makes them easier to blend. When they cool, whizz in a food processor until they totally break down and add the cacao and maple syrup. When these are combined, gradually add 150ml of water...and that's it! The recipe makes a large jar and is perfect on toast, rice cakes or on apple slices. WHERE HAS THIS BEEN ALL MY LIFE?! (my thoughts the first time after making this!) Jokes aside, if you haven't tried this, do give it a go. It's so simple, I feel a bit pathetic calling it a recipe! All you need for the basic version is frozen bananas. Two per person is normally an ideal quantity. Simply chop them up and place in freezer bags overnight. Whizz them in a food processor to create banana ice-cream. It really is the most wondrous piece of wizardry I have ever experienced! 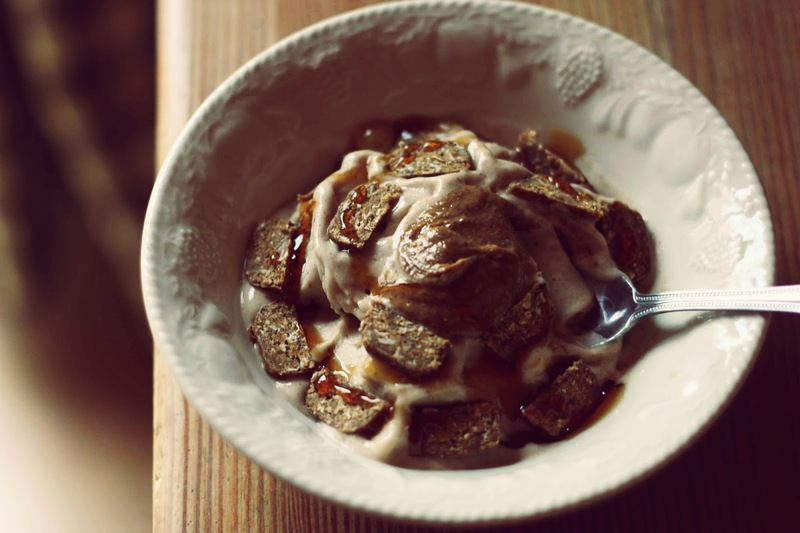 The frozen bananas break down into a really thick, creamy consistency and taste delicious. You can create so many flavours, yet the basic version is just as nice. Add cacao for a chocolate ice-cream, frozen raspberries for a berry alternative, or go mad and make three batches; a plain, chocolate and berry to create a Neapolitan masterpiece! Fresh mint or a vanilla pod are also great options. It's also a great way to use up bananas that may be getting over-ripe. Like my compadres, Kevin, Bob and Stuart, I'm a little banana obsessed and what could be better than them in ice-cream form? Below, I created a cinnamon version, just by adding a teaspoon of ground cinnamon to the frozen banana mixture when they were fully blended and then blitzing for two seconds. 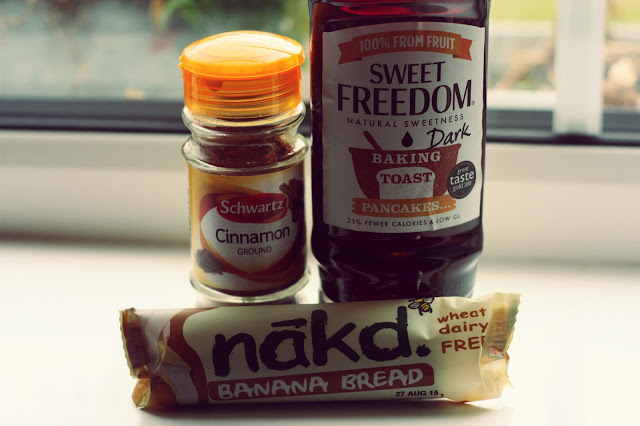 On top, I added a chopped naked bar, a dash of sweetener and a dollop of almond butter and it was life changing! 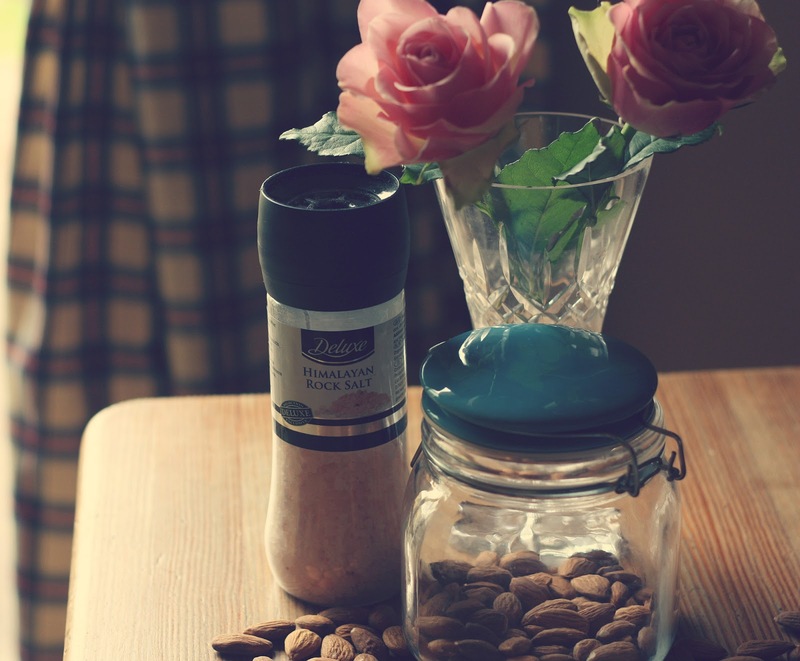 A 150g bag of almonds makes a small jar, but you can make this in big batches if you wish. it will store in an airtight container at room temperature for up to a week. 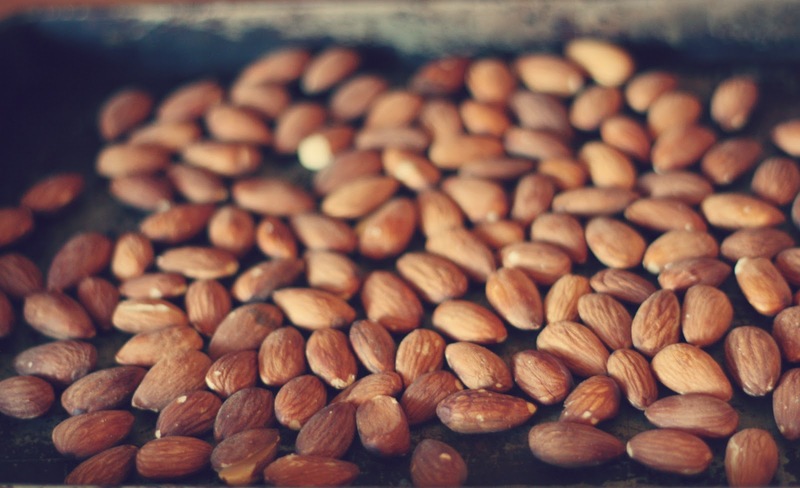 To make, simply pour the almonds onto a baking tray and bake at roughly 180 degrees for about five-six minutes (if making 150g. Increase time slightly if making a larger quantity). Add a sprinkling of any rock salt you want to the food processor and when the nuts are cool add and blend until smooth.